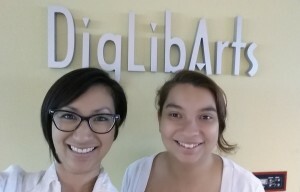 Anne Cong-Huyen (left) and Sofía Dueñas in the DigLibArts collaboratory. Sofía Dueñas ’17, will be DigLibArts inaugural recipient of the Cauffman Fellowship. The Cauffman Fellowship has been generously endowed by Jan and John Cauffman to support faculty-student collaborations and innovative pedagogies. Sofía will be a junior in the Whittier Scholars Program, working with faculty mentor Dr. Anne Cong-Huyen. Sofía and Anne will be collaborating to convert a semester-length seminar into a 3-week intensive course. 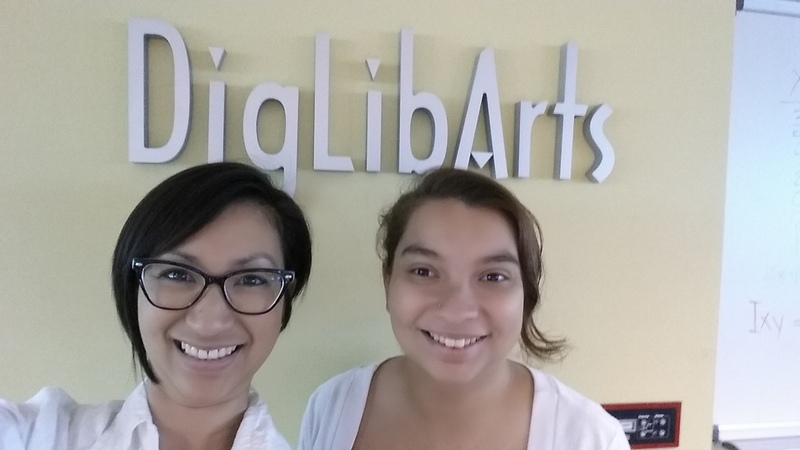 Sofía will work with Anne to investigate different digital tools and to design higher-ed assignments that can be incorporated into this class and to others. Sofía will gain an understanding of ed-tech in higher education contexts, and larger questions of pedagogy, assessment, and access. DigLibArts will also nominate Sofía as Whittier College’s first HASTAC scholar.